As insoluble drugs are now the norm, and targeted, niche therapies are often the strategy of choice, pharmaceutical companies are continuously searching for partners who can address the unique set of needs these complex products present. Particle Sciences has established themselves as the partner of choice for the development and manufacturing of complex dosage forms, and throughout the past 25 years, has built a leading portfolio of capabilities in this area. The Lubrizol Corporation, a Berkshire Hathaway company, recognized this value and acquired Particle Sciences in 2015. Particle Sciences is currently part of their LifeSciences business unit. Since that time, the company has been investing heavily in both technologies and facilities to meet the demand of this growing sector. Staffed by industry experts, the company focuses on complex products providing formulation and a comprehensive suite of supporting services, including analytic, bioanalytic, physical characterization, and manufacturing. An array of standard and proprietary technologies, as well as the ability to deal with poorly soluble and highly potent compounds under GxPs in both sterile and non-sterile environments, distinguishes Particle Sciences from others. 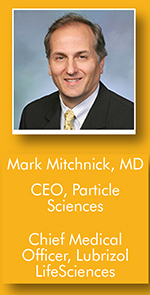 Drug Development & Delivery recently spoke with Dr. Mark Mitchnick, CEO of Particle Sciences and CMO of Lubrizol, to discuss the rise of complex drug products, the capabilities needed to develop and manufacture these products, and the company’s expansion in this area. Q: What are considered Complex Drug Products? A: The term “complex” when used to describe drug products, used to be synonymous with uncommon. However, with the rise of insoluble APIs, biologics, and 505(b)2 applications, complex dosage forms are now a first-line approach. And with this trend, the definition of complex drug products has been broadened to dosage forms that for one reason or another present an atypical challenge in either manufacturing and/or administration. While it is clear that complex products are gaining popularity, and there are literally hundreds of advanced delivery platforms in development, only a handful of technologies are of practical use at this time. Product technology examples in this sector include nanoparticles, drug-eluting devices, liposomes, polymeric microparticles, and so forth. Complex processing challenges include, among others, aseptic manufacturing, the inclusion of highly potent compounds, milling, spray drying, extrusion, and microfluidization. Our team has purpose-built our capabilities around these technologies and processes to meet the needs of our clients tackling complex drug products. Q: Why has there been such an increase in the use of complex approaches? A: There are two main drivers for this. First, newer therapeutics are frequently not amenable to simple approaches, such as traditional solid oral dosage forms. 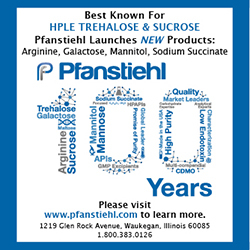 For small molecules, this is usually related to bioavailability – the API is not soluble and/or has low permeability. 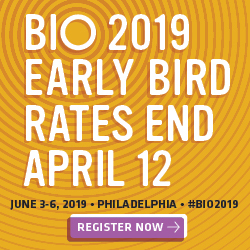 For large molecules, bioavailability (oral) is also a common concern, and in addition, stability issues are often present. In all of these cases, various complex approaches can help. For example, a typical BCSII small molecule’s oral bioavailability can usually be substantially increased by reducing particle size. The second driver for the increased interest in complex approach forms is the trend toward 505(b)2 products. These approaches can greatly improve convenience, economics, and even efficacy. In addition, intellectual property can be gained or circumvented using this approach. As an example, long-acting depots have been developed for indications ranging from antivirals to CNS indications to contraception. These long-acting products significantly improve compliance, and thus outcomes, and provide additional economic opportunities for their sponsors. Q: How does one develop a product based on complex approaches? A: Generally speaking, the development process is the same as any other dosage form. For success, the developer needs to assess an array of approaches and should, from the beginning, take into account the characteristics unique to the particular dosage form. We believe it is our extensive experience in a wide range of technologies that make us uniquely capable. Highly specialized unit operations, working with controlled substances and aseptic manufacturing are all well within our capabilities at Particle Sciences. In 2015 alone, we ran nearly 50 cGMP batches for clinical trials on products ranging from vaginal rings to depot injections to microparticle-based tablets to solution and particulate-based eye drops. During preformulation, it is especially important to understand the implications of the downstream processing. For example, drug/excipient compatibility should be performed under conditions similar to that which might be experienced during production. Extrusion and wet milling present very different kinds of stresses to the product components, and simulating those early on can save significant time and money down the road. Another area of focus is physical characterization. Though we encourage thorough physical analysis of all applicable dosage forms, this is especially true in the case of some complex forms. For example, analytic methods for particulates can be quite distinct from other forms, especially in the case of dissolution testing. Physical characterization of complex dosage forms is the backbone of our developmental process at Particle Sciences and is something that our clients recognize as differentiating as it is a skillset not widely available in the industry today. Q: What are the main challenges facing Biopharma when looking to find a CDMO for the development of a complex product? A: There are a couple of things to keep in mind in selecting a contract development and manufacturing organization (CDMO) partner. First, no single technology addresses everyone’s needs. In fact, no single technology addresses even the majority of needs. Therefore, partnering with a group that is not limited to a specific platform is key. In today’s environment, a CDMO should have multiple approaches that span the range of commonly encountered problems. Second, adequate chemical and physical characterization of the drug product is as important as the formulation itself. This requires not only a great deal of instrumentation and a knowledgeable staff but also the experience to know what is important both from a scientific and regulatory perspective. Something as seemingly straight forward as measuring particle size distribution requires an understanding of how the instrument makes the measurements and the underlying algorithms used in data analysis. Here, as an example, most of the algorithms assume a perfectly spherical particle, and this is rarely the case. Knowing how to translate the development data into a viable QC method is a skill only learned through experience. There are many things to look for in a development partner, but a third capability worth mentioning is the ability to bring the product into the clinic and preferably through to commercial production. Transferring a complex product from a preclinical developer to a separate clinical material manufacture is both costly and time-consuming. CDMOs that have cGMP manufacturing capability tied directly to the development group are much more attuned to the need to develop products that are amenable to scale-up and production. Q: How has the expansion of Particle Sciences grown your ability to meet the complex dosage market? A: We have invested heavily into acquiring an unparalleled array of technologies and capabilities ranging from drug-eluting devices to polymeric particulates to aseptic nano-milling to lyophilization. Our cGMP suites include ISO5 areas, isolators, dedicated high-potency compound rooms, and a wide variety of unit operations. This broad capability has been key to our success and to our returning customer base. We place great value on the client relationship, and our high-touch approach has resulted in many repeat customers across a variety of projects. Clients look to us to stay current on the emerging trends in the complex market place, and they are willing to support this knowledge-base and expertise. In fact, the continued growth of the company has allowed us to in-license new technologies to offer our customers who are seeking proprietary protection via formulation approaches. We pride ourselves on our ability to absorb new technologies while maintaining state-of-the-art facilities and QA programs. It is the recognition of our differentiated approach that has allowed us to expand, and in late 2017, we will be bringing our new commercial facility on line. This facility will service both products we have developed for clients and those that are being transferred to us after development by our biopharma customers. Q: With such broad formulation capabilities, how did you decide what products to accommodate in your Commercial Manufacturing Facility? A: As highlighted earlier, while the CDMO market for finished dosage forms is substantial and generally well served, there is a lack of manufacturing capacity for complex drug products. Such a facility requires not only purpose-built infrastructure but a specialized staff. For our commercial facility, we focus on products that can leverage our expertise and where there is the most demand. Designed to produce both sterile and non-sterile dosage forms, the modular manufacturing space is compliant with existing and anticipated international regulatory requirements and built with flexibility and adaptability in mind. The processing suites are built with a “plug-and-play” skid design from industry-leading equipment manufacturers, allowing GMP processing technologies to be assembled, installed, and qualified rapidly. Pre-sterilized, single-use equipment is employed when possible to reduce cleaning validation time and costs. Isolator technology allows for the processing of highly potent compounds and organic solvents, and also supports compounding, processing, and aseptic/sterile filling. The automated, aseptic filling equipment is designed to accommodate a variety of the most used primary packaging configurations allowing for maximum flexibility. We have sterile lyophilization, milling, and microfluidics capability that can process a variety of batch sizes. We employ a transparent fish bowl design to allow both clients and regulators to view the processes in order to facilitate understanding and audits. We also have room to expand, so if you are pursuing manufacturing of a complex product, chances are we can accommodate your needs. Q: Where will Particle Sciences be focusing in the next 5 years, and how will you continue to differentiate yourselves in the crowded CDMO space? A: In the future, we plan to bring in new formulation approaches and expand our footprint both organically and, likely, through acquisition. Through this growth, we will continue to do what we have done throughout the past 25 years – maintain our expertise while looking for new, innovative, and creative approaches to solve the problems of the future. There is tremendous innovation amongst the small-to-mid-size companies, and while we will always nurture our relationships and services to our large clients, we will also continue to serve companies of all sizes. It is this flexibility and willingness to take on the toughest and most unique products that have differentiated us. With the Lubrizol team and the backing of Berkshire Hathaway, we have even more bandwidth to tackle the challenges in the pharma community. We now have access to polymer scientists and can pair our formulation knowledge with new innovative delivery systems. We look forward to continued growth in the complex pharma market and encourage you to reach out if you are in need of a quality driven CDMO.